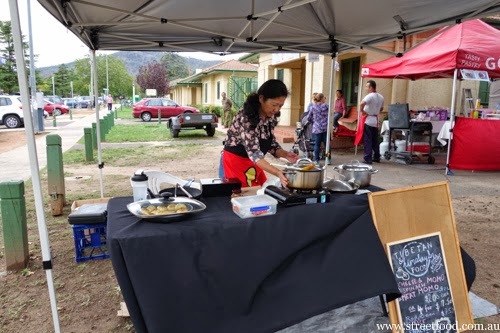 An arts centre market in Canberra makes an unusual place to come across a Central American classic and some Tibetan tastes. 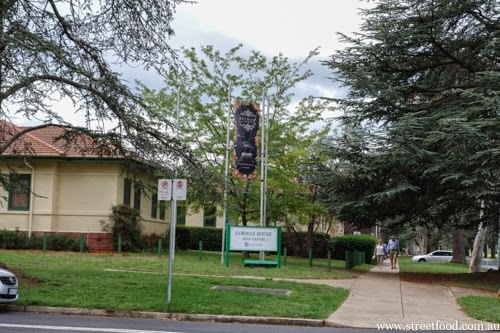 Walking past Gorman House Art Centre in Canberra one weekend, Shawn muses about the fine Indonesian food he had there 20 years ago. "Why don't we go in and see if it's still there?" he asks, so we enter off Ainslie Ave not knowing what we might find. It's late in the afternoon, they might even be packed up and gone. Walking through the small number of hoobie froobie stalls we head toward the other side where the smell of food is promising. 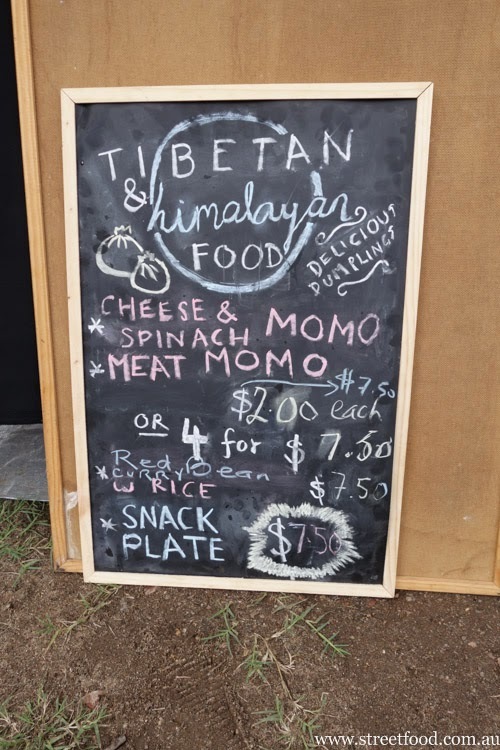 The first stall we come across is Salvadorean Food, which we have never tried. Food gold! 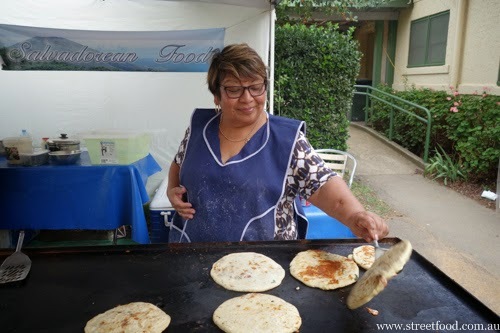 Every weekend this stall is open at the market, serving only pupusas and tamales made on a flat hotplate. Everything is made fresh from scratch, and because they are cornmeal they are also gluten free. Vegetarians can also rejoice with a large variety of bean, spinach and cheese options. 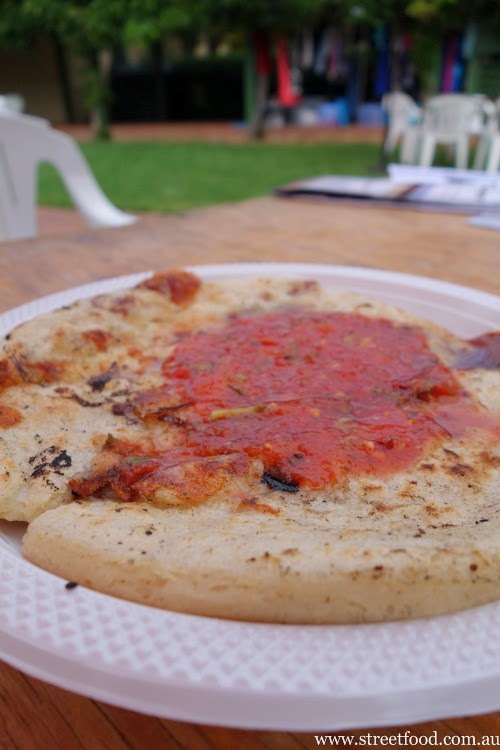 We ask for a refried bean and cheese pupusa, $7. The fillings are hidden inside the flat cornmeal pancake, while a generous dollop of chilli sauce binds it all together. The sauce is fresh, almost a pure blend of tomato and chilli, uncooked and sweet and savoury. 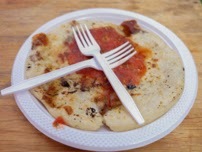 When the pupusa is broken up, the sauce filters into the melted cheese, bean and corn mess. 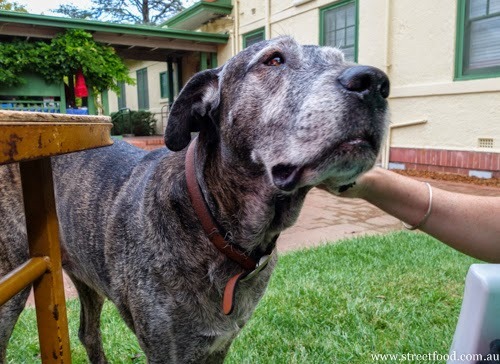 This lovely market dog goes up to every table to see what's left over. Sorry, mate nothing here. As we walk out the other side of the markets, we find this little stall selling Himalayan food. 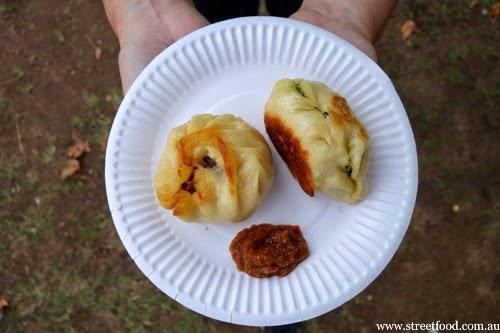 One meat and one cheese and spinach momo with a side of spicy sauce. At $2 each they are a tasty snack. 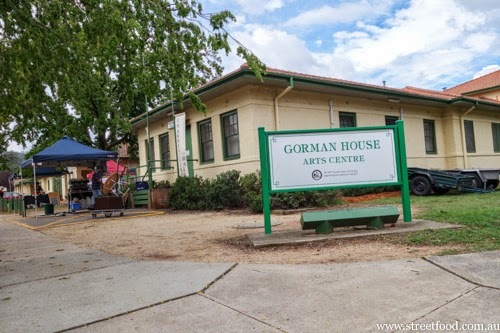 Gorman House Markets are on 10am-4pm every Saturday, 55 Ainslie Ave, Braddon - it's a five minute waddle from Civic. 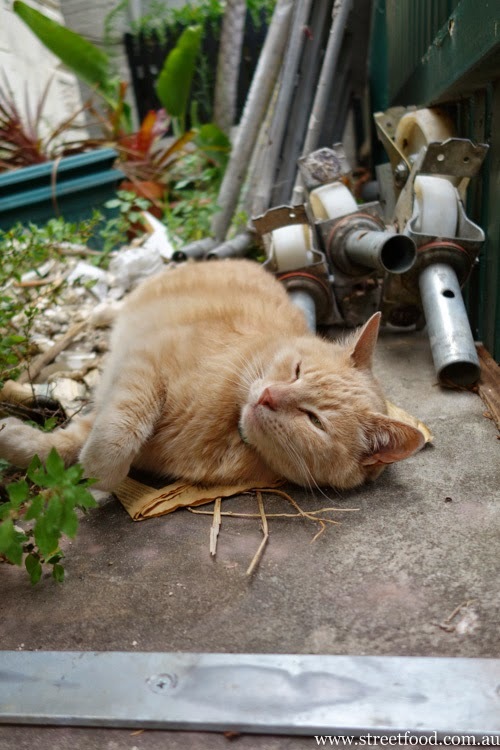 This cat we met in Sydney has nothing to do with the post, or Canberra, but isn't he lovely?